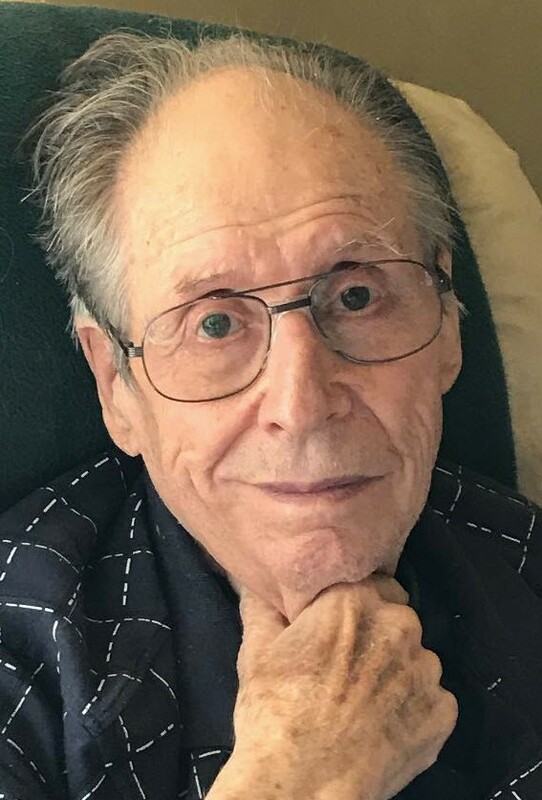 Harold F. Michaelis, age 92 a resident of Pleasant Prairie WI, passed away peacefully Friday April 5, 2019 at Froedtert South Kenosha Medical Center Campus with family at his side. Born on August 24, 1926 in Kenosha, he was the son of the late William L. and Emma (Bentz) Michaelis. He was educated in the schools of Kenosha County; afterwards serving in the US Navy in the Pacific during WW II. On September 8, 1951 he married Marilyn “Jeanne” Moru in Kenosha. Together they raised 4 children, many horses, dogs and cats over the years and recently celebrated their 67th anniversary in 2018. Harold owned and operated Michaelis Refrigeration and Heating for over 30 years. He was a member of First United Methodist Church, Kenosha Masonic Lodge and Kenosha Shrine Club where he served as a past president. Harold and Jeanne loved to travel and visited many countries. One of his favorite vacationing spots was in Mexico; often exploring new areas to get a “taste” of the culture. Harold also enjoyed fishing in Canada with his friends and sons. His memory and lasting impressions to friends and family will forever offer joy to those who knew him. Under the hard-working, industrious exterior was a kind, honest, loving man. He believed in and lived honesty, integrity and generosity. He will be greatly missed by many. He is survived by his wife Marilyn of Pleasant Prairie; two sons, Glenn Michaelis of AZ., William Michaelis of Pleasant Prairie; two daughters, Linda (Michael) Stolarski of Pleasant Prairie, Karen (Larry) Brooks of Pleasant Prairie; six grandchildren, Michael (Nichole) Brooks, Ehren (Megan) Michaelis, Heidi (Ronald) Auch Jr, Hans Michaelis, Jakob Michaelis, Christian Michaelis; and nine great grandchildren, Sofia, Ronald, Avery, Lincoln, Scarlett, Micah, Raelynn, Lily, Gideon and loving nieces and nephews in PA. He was preceded in death his parents, sister Lucille Shrader and his aunt Carlena Michaelis. As per his wishes, services will be private. In lieu of flowers, memorial remembrances to your favorite local charity would be appreciated by the family.